5. belgian endives + chocolate + vanilla ice cream. 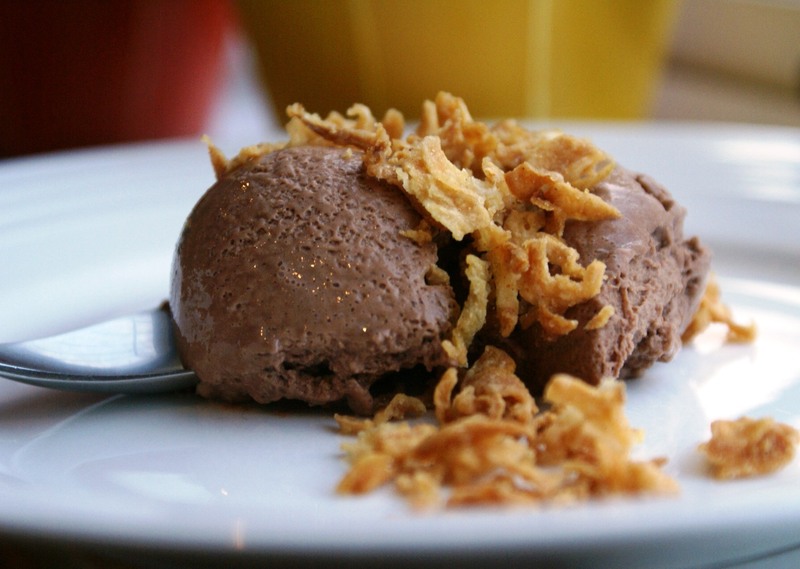 The one that really aroused my curiosity was the chocolate mousse and crispy onion sprinkle. I just had to try it so I dashed off to my Woollies store down the road and bought a tub of chocolate mousse and a bag of crispy onion sprinkle, you know the type that they sell as a soup topping. So that evening I took a scoop of chocolate mousse and a healthy serving of onion sprinkle and I served this unusual matching to some very startled guests …! Well, well, well, if you want to impress your friends with an amazing out of the box dessert that you don’t even have to make yourself …try this. The tastes just gel together and produce a surprising and unusual delicious combination. Put this on your list the next time you are out of ideas for dessert! very interesting indeed 😉 i like the oysters, coconut and lychee idea … a lot! oysters + coconut + lychee + rose Combination need to be given a try. They are all my favourite flavours. Combine in one it must work, I am sure.